As with the last few seasons of Lost Girl, FUNimation has released the newest season onto DVD and Blu-Ray through their Giant Ape Media brand. While last season ended in quite a surprise as titular character Bo was whisked away via some black smoke onto some different dimensional plane where The Wanderer resides, leaving her friends and family worried and wanting to get her back. Will this new season be able to offer the same quality in story and design as Bo and her gang meets more of the Fae? Or will the wonder of the show start to patter out? Let’s see what this season holds in it’s cards. The newest season opens up in media res, but in what seems like a very different version of the world fans of the series have come to know mainly with the lack of its star character, Bo. As it turns out that with Bo off on some other dimensional plane, in her own world she has been scratched out of everyone’s memory by some powerful being in hopes of delaying The Wanderer from being free. Plus, the team is also trying to find the whereabouts of the recently deceased Tamsin, which of course being a Valkyrie doesn’t really stop her, just puts her back into adolescence. The main strength of the show continues to shine in these situations though, introducing more and more of the Fae to the viewer and the members of Bo’s group that haven’t been part of the Fae World since birth and exploring the dynamics of it, both as it was and now that they have been mucking it all up. 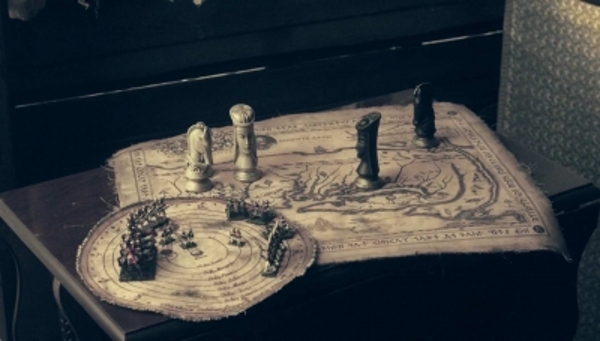 As the series continues, there is a lot more of this as well as a real focus on the concept of history being written by the winners, as not everything in the Fae’s past is as cut and dry as the present makes it out to be. The biggest example of this being the major character development that occurs with the former Blood King, and Bo’s grandfather, Trick. The additional information that is explored in this season about that character alone is fascinating as it covers more about what Trick did to remain in power as the Blood King, why he ran away like he did, and what brought him to be the barkeep he is today. Additionally, to the character development that occurs this season for the first time since the start of the show not all of the member of Team Bo are completely safe. In previous seasons it was easy to see who would be getting the ax as they added new characters, but for the first time the major cast sees actual losses, which in shows like this is interesting to see what comes of it. Not only from the initial reaction of the other characters, but how it impacts them for the rest of the season/series as well. It’s great to see the show pull out of its somewhat formulaic ways in this aspect and what they will do to fill in these gaps later or if they will at all. There is a good amount of focus on the greater mythology this season, in regards to the destiny that lies before Bo and how she keeps finding herself following it. Though the series continues to do well slowly revealing more of it as she finds out about it, without needing to completely recon different aspects of the show caused by writing it as it goes. Not to mention the fact that there are still plenty of Fae for the group to meet and interact with, from Krampus, to the Leviathan, to the Pyrippus. 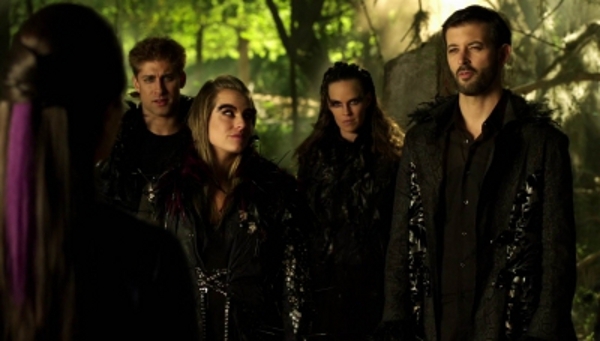 Season 4 of Lost Girl is able to broke its own mold and still hold viewer’s interest for next season. This special effects for this season are still able to match up to the quality of the previous seasons, though there are a few that are a bit sub par, such as some of the effects for the Origin Seed. The dimensional shifts and the train for The Wanderer however do a fantastic job of adding to the show’s aesthetic. The costumes and makeup have even fewer flaws, still with a great sense of style that brings the series alive. The few problems those do have are solely for the character Vex when dealing with being forced to amputate his own hand, namely the makeup effects for just before he does and the costuming for when it is supposed to be missing. However, as such a small part of this season it is easy to overlook this small slight. The acting and the music likewise do a great job throughout Season 4, but there are some slight problems in the form of Massimo, the Druid, who starts off as a great bad guy and then just gets very very weird with the addition of mommy issues. It might have been worked better, but as it is leaves a somewhat offputting feeling, but that may have been the entire point. The musical selection for this season though might be some of the best so far featuring such meaningful and memorable songs as “Baby I Call Hell” by Deap Valley, “Heart Killer” by Gossling, and topping it all off with “You” by Keaton Hanson during the finale. All these songs fit not only the tone of the scenes they are used in, but the tone of the series so well that they deserve their specific mentions. Hopefully the next season can live up to this season’s music. 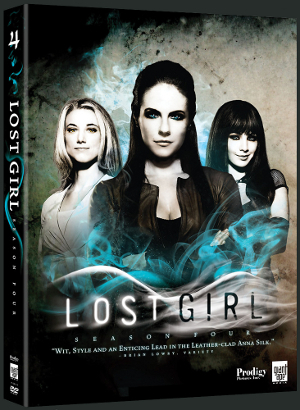 For their fourth season, Lost Girl has a decent amount of extras for the Blu-Ray release. With two sneak peeks behind the scenes, one with a cast roundtable with Ksenia Solo (Kenzi), Zoie Palmer (Lauren), Kris Holden-Ried (Dyson), Richard Howland (Trick), and Paul Amos (Vex) as they talk about some different elements from this season and their own insight, while the other a much longer inside look with the crew as well as the cast about Season 4. There are also the full Lost Girl panels from both San Diego Comic-Con and New York Comic Con, though the New York panel is a much smaller affair with just Richard Howland (Trick) and Paul Amos (Vex), though luckily with much more humor. 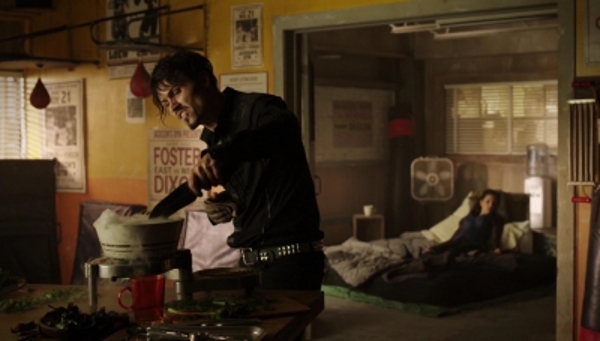 The latest season of Lost Girl still has plenty to offer fans of the series’s previous seasons. The sense of style that the show has, plus the uniqueness of its characters and Fae at the center of its world make it a show really unlike others in the fantasy/supernatural genre. There seems to be no limit of the creatures that can appear and is always able to handle them just as well the familiar, but with more surprises. Those that have enjoyed the previous releases should find this release at home with all their others.